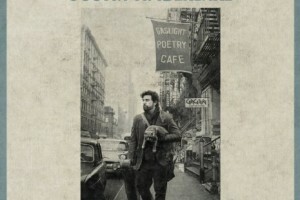 The Coen brothers’ latest film “Inside LLewyn Davis” is notable for being dark – in mood and message. It takes place in 1961 and the scenes are dulled out, absent of color. Davis is a lone folk singer trying to make it after the other half of his duo jumps off a bridge. We wonder if their lack of success is not why. There’s little else to wonder about in the movie. It trudges on – following Davis (played by a plaintive Oscar Isaac) on his hapless quest for singing success. We follow him as he finds places to crash for the night, through confrontations with his friends, through hitchhiking to Chicago and back – and through it all, Davis doesn’t grow or change. He’s a hapless dude… being rude, being unfeeling except sometimes toward a cat… in short, he seems depressed. We’re so used to big action and big effects – cities being blown up, superheroes who fly through the air, villainous creatures bent on destroying us – that this total absorption with one sad guy seems refreshing in some odd way. There are no cell phones or tablets to distract him. No selfies for him to project false moments to his followers. There is only him – in all his sad, imperfect humanity. The movie comes full circle – the same scene opens it as closes it – he gets punched in an alley for mouthing off. And that is the saddest moment of the film. The events of his life, of the movie, the chances he had but did not take – have not led him to insight, to some change in his life that will move him forward. He will continue to wallow in his defeatist ways. This is powerful because the message is so clear to me. Change, learn, grow, take chances, take advantage of opportunities, rouse yourself out of your comfort zone, connect with and be kind to people, live with an energy for life. That’s the message I took away. Note: the music is great, much of it sung by Isaac who used to have his own band.